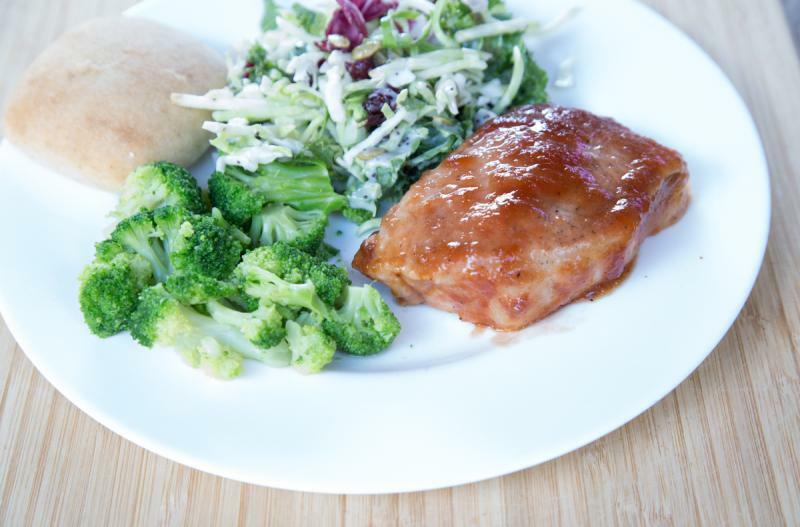 Delicious pork chops made from ingredients that are likely already stocked in your kitchen! Preheat oven to 375 F. Lightly spray a 9x13-inch baking dish with non-stick cooking spray. Place the pork chops into the baking dish and season both sides with salt and pepper. In a small mixing bowl, whisk together the applesauce and BBQ sauce. Pour over the pork chops and bake in the preheated oven for 30 to 40 minutes, or until pork chops reach 145 F. Let rest for 5 minutes before serving or slicing. Cooking time may vary depending on thickness of the pork chops. 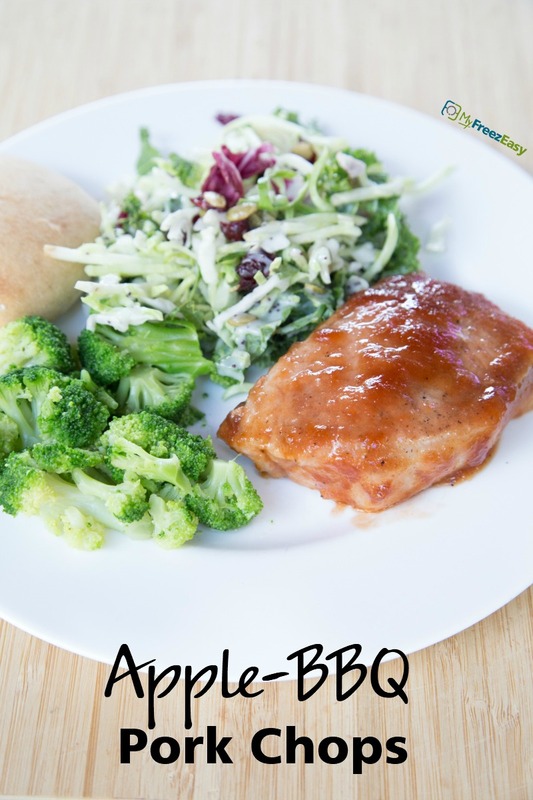 Serve Apple-BBQ Pork Chops over rice with salad. In a small mixing bowl, whisk together 1 cup applesauce and 1 cup BBQ sauce. Put tray in the freezer and freeze up to 6 months in fridge freezer or 12 months in a deep freezer. Thaw in the fridge overnight, or a shallow dish of warm water for about 20 minutes, before transferring to the oven and baking as directed. Thaw and bake at 375 F for 30 to 40 minutes, or until pork chops are cooked through.